Though Apple featured the India-developed Froggipedia at its March 27 iPad event, the company may need to ramp up its outreach to foster more iPhone and iPad apps in the country, a report suggested on Monday. "The iOS community is small in India but it is not as active as the Android community," Aakanksha Sharma, a developer with Network 18 told Killer Features. "All the meetups are organised by the community and there is hardly any way to reach Apple apart from the Accelerator." Sharma lives in Mumbai and noted that Apple's App Accelerator —inaugurated in March last year —is located in Bengaluru, over 500 miles away. The facility hosts labs and presentations intended to teach everything about developing for Apple platforms, including not just iOS but macOS, watchOS, and tvOS. Events are free for registered developers. Bengaluru is a major city, yet in a sprawling country of over 1.3 billion people, other urban areas like Chennia, Delhi, and Hyderabad may be going underserved. Community meetups for topics like Swift programming are held in those places —the Accelerator however provides an opportunity to talk to Apple engineers. "When the center started, the engineers there just used to show presentations using videos from WWDC," one developer complained. "But over time it has improved." Apple's bigger problem is believed to be local demand for iOS apps. While doing well in the high-cost "premium" segment, Apple's iPhone controls less than 3 percent of the Indian smartphone market as a whole. Based on app metrics, the India iPhone user base doesn't spend much on apps anyway, which may leave little financial incentive for developers. 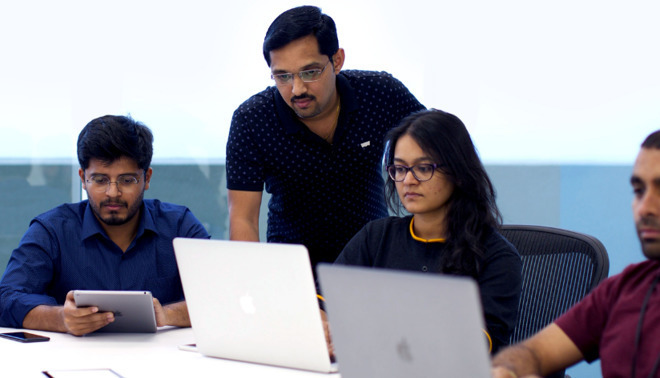 Developers that have attended Apple's Bangalore, India App Accelerator have claimed in the past that the center gives them a leg up on competitors, with the mentoring help them adopt Apple's frameworks much quicker than they would have otherwise. Apple's facility can handle up to 500 developers a week, with sessions ranging between two and four hours each. Attendees must be registered Apple developers, and sign into the center's scheduling page. One developer noted that without the accelerator, it takes them around two years to integrate Apple's new frameworks. Before the training, they would wait until Apple officially launched an update after the beta cycle was complete, and only then start work on the new features. Froggipedia, the app highlighted at Apple's "Field Trip" event is available on the App Store for $3.99.